Be the matte lipstick kinda gal with the Avon True Color Perfectly Matte Lipstick. With its highly pigmented formulation, this lipstick gives you 100% true matte finish, which neither dries out nor cracks. The weightless texture glides effortlessly and seals in moisture to give you that fabulous pout! Additional information: Avon is a leading global beauty company and is sold through more than 6 million active independent Avon Sales Beauty and Fashion Advisors. Avon's product line includes color cosmetics, skincare, fragrance, and fashion and home products. Avon believes in satisfying and fulfilling the needs of women around the globe. Explore the entire range of Lipstick available on Nykaa. 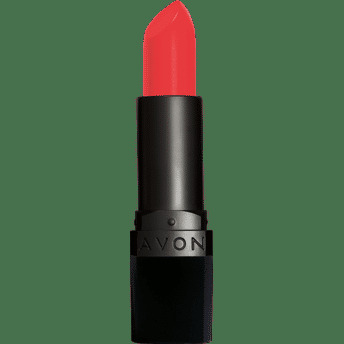 Shop more Avon products here.You can browse through the complete world of Avon Lipstick .Alternatively, you can also find many more products from the Avon True Color Perfectly Matte Lipstick range.